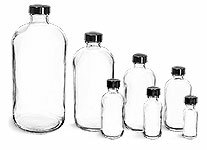 The white smooth polypropylene threaded snap top caps have a .125 orifice making them a great choice for containing products that need to be dispensed in smaller doses. To dispense the product the hinged cap is flipped up, the product is dispensed, and then the cap is re-sealed by simply pressing the cap back onto the beaded finish. These snap top caps are great for dispensing liquid cosmetics, lotions, and facial ointments.